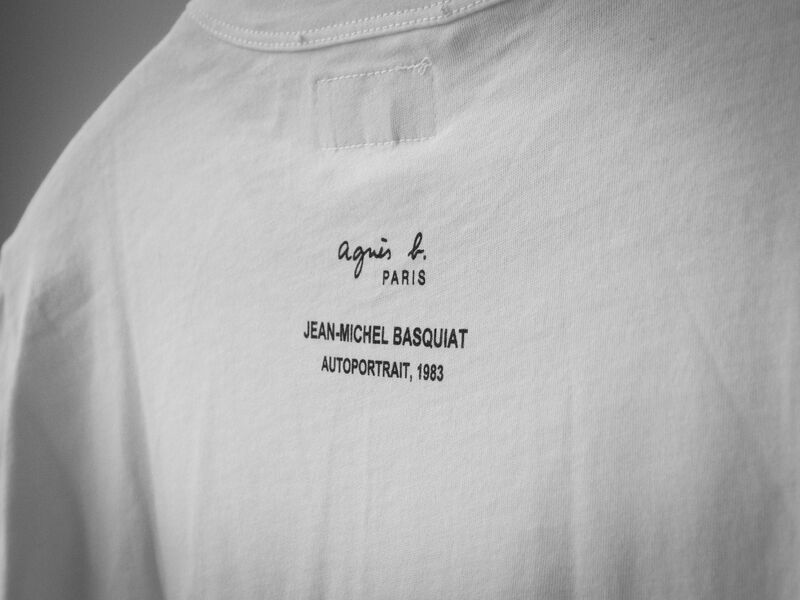 The French clothing brand Agnès B has added a T-shirt to its ongoing T.shirts d’artistes! 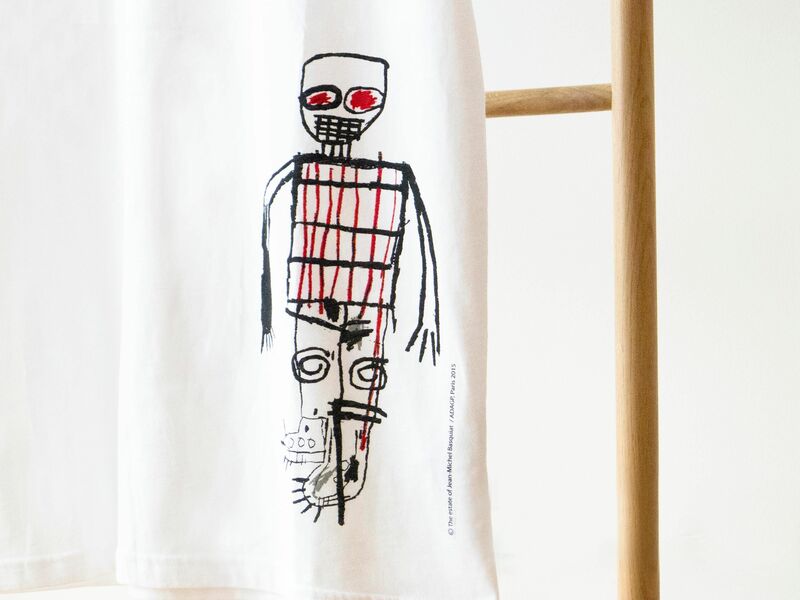 collection that features the work of the late American artist Jean Michel Basquiat. 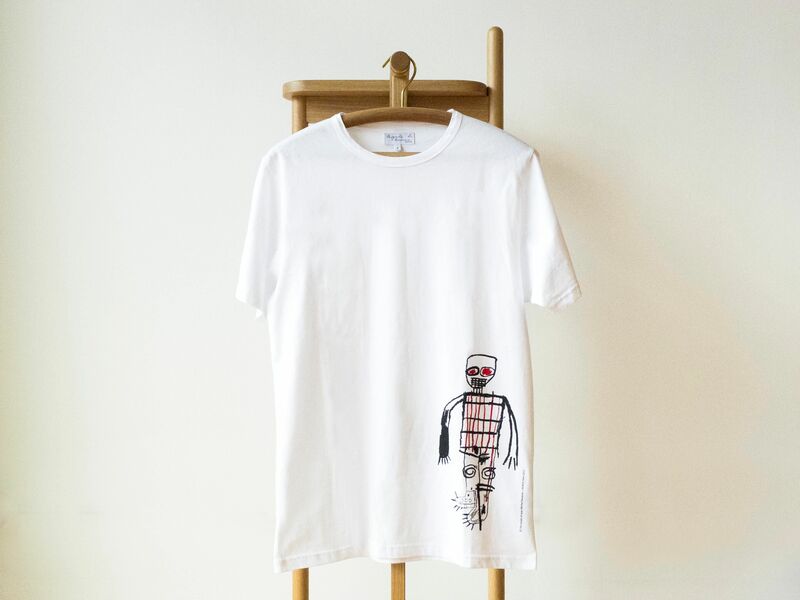 The T-shirt features a print of one of Basquiat’s Autoportraits, created in 1983 and taken from the designer Agnès B’s personal art collection. It is available for both men and women. Agnès B was not only a collector of Basquiat’s work but a friend of his as well. She met him in a cafe in Paris in the 1980s, where they shared a pizza together. Agnès B’s T.shirts d’artistes! collection began in 1994 with a T-shirt from the American Cuban-born artist Félix González-Torres with the motto “Nobody owns me”. Since then, the brand has printed T-shirts featuring works by artists such as Gilbert and George, William Klein and Jonas Mekas.